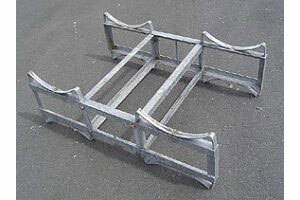 Description: We have a large number of used Lyco barrel racks available for sale. These will fit a range of barrels styles; 225L Barriques, 228L Burgundy & 300L Hogsheads. Bolted and welded variants available. INCO Terms: (EXW) Ex-Works, Tauranga.